The best moments in a mom's life are when she spends time with her child. 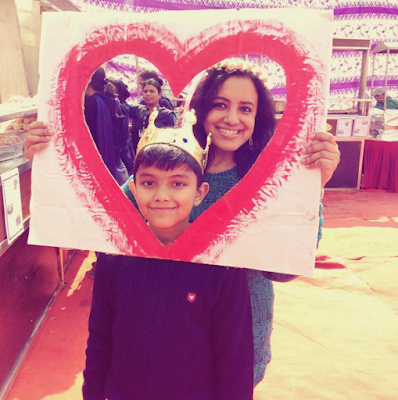 So, here I am at the school carnival on Valentine's Day, holding up that heart cut-out and wearing a tiara of pink roses the girls in his school insisted that I wear on my head. Never felt so silly and funny and happy - all in a day! As the wise ones say, "C'est la vie." great picture Swapna ! Sounds like a treasured memory and happy day with your son. Thanks @Vishnu - it was a fun filled day and a beautiful memory that I shall always treasure.